Before they'll carry your products, some retailers require that you provide them with UPC numbers. Choose the UPC number option and we'll send you verified UPC numbers that are guaranteed unique to your product/s. Purchase securely and get your products out there today! If you need UPC barcodes choose the UPC + PDF barcode option. We'll send you your unique UPC numbers plus the corresponding UPC-A barcode in high-quality PDF format. Perfect for incorporating each barcode into your retail product label or package design. 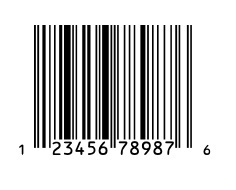 UPC numbers are a closed system; this means they must come from the barcode standards body GS1, or from a company that's authorized to allocate UPC numbers. If your product is subject to strict regulation - alcohol, tobacco, or marijuana, for example - be sure to check with your industry-governing organization before purchasing UPC numbers from us or any other vendor. Azalea UPC numbers are GS1-issued, secure and unique to your company and product.